Suzuki GB is delighted to confirm attendance at this weekend’s Manchester Bike Show, opening this Saturday (23rd) for two days at Event City, with support from popular regional dealership, Robinsons of Rochdale. Taking centre stage on the Suzuki display over the course of the event will be the new Katana, fresh from its recent press launch in Japan. Featuring the proven 999cc in-line four cylinder engine, the Katana combines unmistakable retro 80s styling with modern technology, including three-mode traction control, Suzuki’s low RPM assist and a Slipper Clutch as standard. Also on display will be the popular SV650. Featuring the new 2019 colour scheme, the punchy V-Twin 645cc engine combined with its agile chassis is still arguably one of the most popular middleweights available, ideal for new and experienced riders alike. 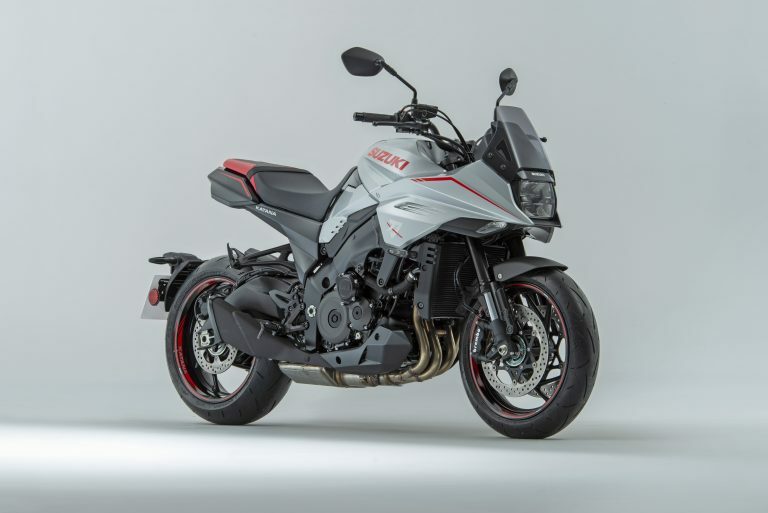 As well as the Katana and SV650, the Manchester Show will showcase key models from the rest of the Suzuki range, including the very latest GSX-R1000R, V-Strom 650 and GSX-S125 too. Information on Suzuki’s current ‘Get Moving’ finance campaign will be available on the stand, including a great GSX-R1000R offer and other model promotions too. Robinsons of Rochdale staff will be available throughout the weekend to help with any questions visitors may have. The Manchester Bike Show takes place 23-24 March at Event City, Manchester, M17 8AS.